ThePoint Loop Powered two wire level switch provides a current output and has hazardous area approvals making it a good choice for most of your point level application requirements. ThePoint level sensing device offering is suitable for most temperature, pressure, and material types. ThePoint loop powered two wire level switch is an excellent choice for most of your point level and overfill protection needs. ThePoint offers many of the features and benefits of the IntelliPoint, at a more economical price. This level switch is maintenance free and the no moving parts design makes ThePoint the ideal choice to replace high maintenance, less robust point level products. ThePoint is simply the BEST VALUE for a no calibration point level switch in the industry. Request more information to see how we can help you with a level switch solution that suits your need. Learn how to easily change the mode of the Drexelbrook ThePoint level switch. The video applies to RF/Capacitance devices such as point level switch or continuous level measurement. Drexelbrook offer point level solutions for measuring level of wort in brew kettles. The nature of the application, hot, steamy, boiling surface, make many level technologies unsuitable for measuring level of wort in a brew kettle. Drexelbrook offers an accurate and reliable foam level measurement solution for the beer and wine industry. Learn how to provide accurate level control and ignore foams in filler bowl applications with Drexelbrook level measurement technologies. Measurement of this large volume commodity presents several unique problems. Drexelbrook offer a solution. The Intellipoint point level switch from Drexelbrook indicates when a vessel is full prior to cooking. 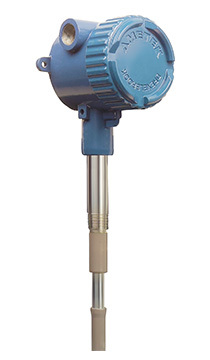 The Multipoint II level switch from Drexelbrook provides three control points on one vertically mounted sensor. Drexelbrook ultrasonic gap switches indicate the presence of liquid in retention dikes at oil and chemical storage vessels. Many TDR systems do not have the sensitivity required to measure the low dielectric values of fly ash or a Single Cable sensor design that can make this measurement, and will also hold up to the mechanical forces and abrasion of fly ash. Fly ash is difficult level measurement due to the dusty coating nature and high temperature environment. The Drexelbrook Intellipoint level alarm offers a solution. Measuring granular materials in a chute is an extreme environment for any sensing element. Gypsum rock is abrasive and heavy, causing insertion type sensors to quickly wear, bend, or completely shear off.